No matter your fitness level, you and your friends, families and colleagues can take part in the Variety Cerebral Palsy Challenge! You’ll be raising money for a good cause with the proceeds going to Variety – The Children’s Charity as well as The Spastic Centre, and helping to enrich the lives of children living with cerebral palsy and their families. 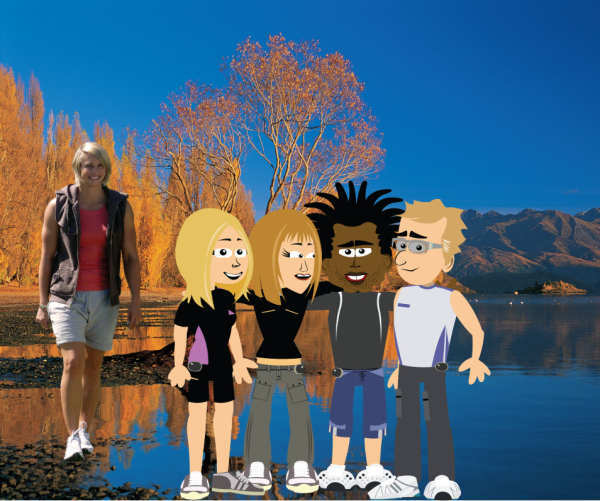 The challenge involves being in a group of four people who create online characters and perform fitness tasks which lead their characters on a global adventure. You can do your preferred exercise, whether it’s walking, jogging, swimming or cycling, and this is converted into steps and added to the team’s total. The more steps you amass, the more dollars you’ll receive from the sponsors you have enlisted. Every fifteen hours a child is born with cerebral palsy so let’s help research into its prevention. We encourage you to get out there with those strollers, walk or ride to work, or even to the local cafe for a coffee. It all counts! The challenge begins on April 20 and goes for ten weeks, so register now on theCerebral Palsy Challenge‘s website and make a difference! You won’t only be helping kids, you’ll be improving your fitness and the lives of your own families!